Gaza City (Palestinian Territories) (AFP) - The Palestine Liberation Organisation expressed readiness for a Gaza truce and Washington said Israel had sought help Tuesday in calming a 22-day conflict that has killed more than 1,200 people in the enclave. But the Israeli government remained silent on the subject while continuing its bombardment, leaving scores more dead more than three weeks after launching a military offensive against rocket-firing militants. US Secretary of State John Kerry said that Israeli Prime Minister Benjamin Netanyahu had asked for fresh help from America in trying to broker a ceasefire. "Last night we talked, and the prime minister talked to me about an idea and a possibility of a ceasefire. He raised it with me, as he has consistently," said Kerry. The top US diplomat added that Netanyahu had said he "would embrace a ceasefire that permits Israel to protect itself against (Palestinian militants') tunnels and obviously not be disadvantaged for the great sacrifice they have made thus far." There was no Israeli government comment. 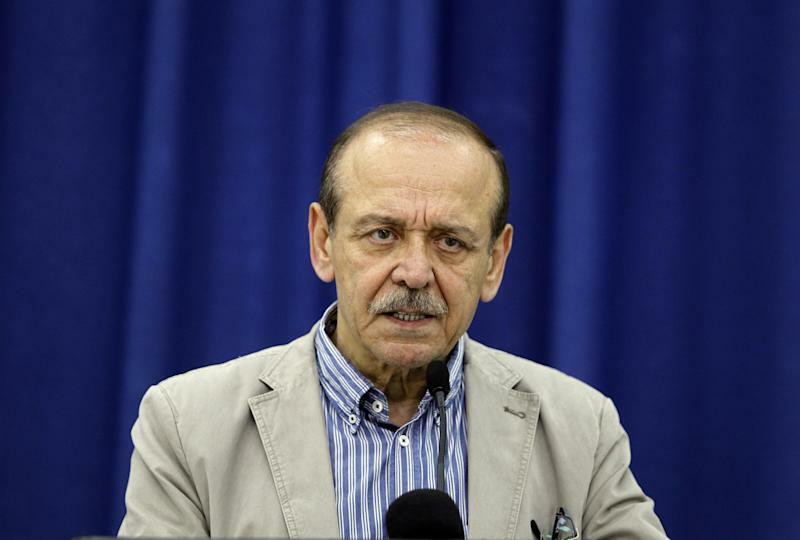 PLO secretary general Yasser Abed Rabbo said after consultations with Hamas and Islamic Jihad, the two main militant groups in Gaza, that there was "willingness for a ceasefire and humanitarian truce for 24 hours". A joint delegation headed by Palestinian president Mahmud Abbas would travel to Cairo to take the next step. "This is more proof that we have a unified Palestinian stand," Abed Rabbo said. "The delegation will head to Cairo under the PLO umbrella represented by president Mahmud Abbas." Hamas said so far it had not agreed to any new truce and was waiting for Israel to show its hand first. "When we have an Israeli commitment... on a humanitarian truce, we will look into it but we will never declare a truce from our side while the occupation keeps killing our children," Hamas spokesman Sami Abu Zukhri said on Facebook. Mohammed Deif, head of the movement's military wing, echoed his position. "There is no ceasefire without the stop of the aggression and the end of the siege," he said in remarks aired on Hamas radio and television. A series of ceasefires in recent days have failed to take hold, as both sides appeared more determined than ever to keep up the fighting. The Israeli offensive, which began on July 8, has killed more than 1,200 Palestinians, mostly civilians according to the United Nations, and injured over 7,000. Fifty-six lives have been lost on the Israeli side, all but three of them soldiers. In the latest bloodshed, at least 13 Palestinians were killed by Israeli shelling on Jabaliya in the northern Gaza Strip on Tuesday, emergency services spokesman Ashraf al-Qudra said. On Monday night, a deluge of bombs rained down on Gaza, after an uneasy truce to mark the end of the Muslim fasting month of Ramadan and the Eid al-Fitr holiday. Shells fired from tanks struck Gaza's biggest power plant, bringing it grinding to a halt and exacerbating already widespread blackouts. And an air strike targeted the vacant home of top Hamas leader Ismail Haniya in Gaza City's Shati refugee camp. 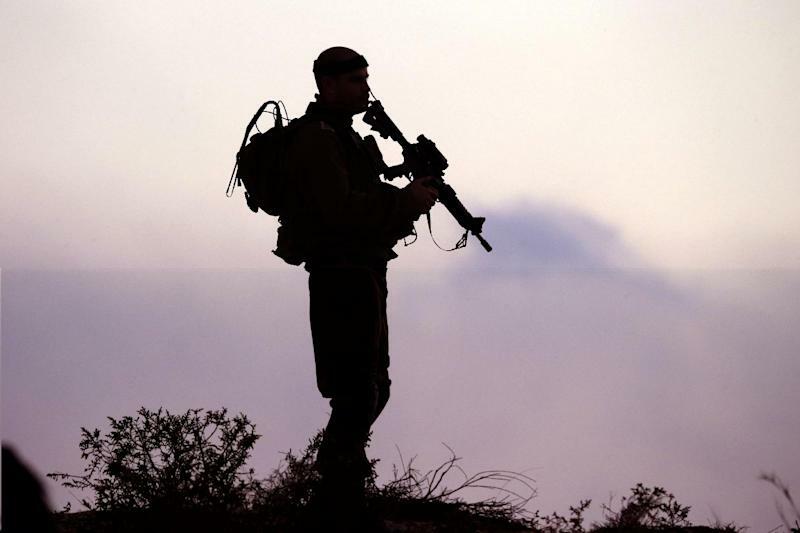 The raids came after Israel announced five of its soldiers were killed in a ambush late Monday after militants sneaked into southern Israel by a tunnel. On the same day, mortar fire killed four soldiers near a southern kibbutz, the army said, while another had been killed in action in southern Gaza. The army said 57 rockets hit Israel on Tuesday, and another were 10 shot down, one about 30 kilometres, (19 miles) from Jerusalem. The World Health Organisation estimates that more than 215,000 people, or one Gazan in every eight, have fled their homes in the overcrowded territory. Many have headed for already-cramped UN schools in the north, where children ran barefoot around a dirty school yard alongside stinking piles of rubbish. The surge in violence drew increasingly urgent international demands for an end to hostilities. "In the name of humanity, the violence must stop," UN chief Ban Ki-moon said on Monday. But the calls went unheeded, with Netanyahu warning it would be "a lengthy campaign" that would go on until troops destroyed cross-border tunnels used for staging attacks on Israel. Tensions had risen sharply after a shell on Monday landed inside the Shifa hospital compound in Gaza City, followed by a blast at a children's playground in the city's Shati refugee camp, that killed 10, eight of them children. "We have not fired on the hospital or on Shati refugee camp," Major Arye Shalicar told AFP, saying the army had footage showing militants firing at Israel but the missiles falling short inside Gaza.